I read this article and found it very interesting, thought it might be something for you. The article is called 4 best Halloween festivals that will fuel your obsession and is located at https://www.cheaptickets.com/blog/2016/10/best-halloween-festivals/. It’s no secret that America has a love affair with Halloween. This beloved holiday inspires countless festivals and celebrations throughout the country every year, and each location has its own special brand of Halloween style… However, certain cities go the extra mile to make their haunted celebrations especially memorable. Here is our list of the four best Halloween festivals to fulfill your ghostly fantasies, in no particular order. When: October 31, 7 p.m. The Village Halloween Parade is known for its huge community involvement and some serious theatrical aspects, which are to be expected when visiting NYC in the first place. All marching to live music from more than 50 bands, hundreds of haunting puppets, dancers and artists participate in this decades-old tradition. Not to mention the thousands of costumed civilians who join the parade each year, and are highly encouraged to do so. This celebration is unique for how inclusive it strives to be, inviting Halloween enthusiasts of all walks of life, or death (get it? ), to join in the fun. Need more convincing? This is a free event! 1. Wear your costume (duh)… Your most creative, creepy or crazy costume, to be exact. 2. Join the crowd at 6th Avenue and Canal Street. 3. Arrive between 7 p.m. and 9 p.m. or risk missing the festivities entirely. When: The entire month! October features countless events here. The beset of the best take place towards the end of the month: the Witches’ Halloween Ball, Annual Psychic Fair and Witchcraft Expo and The Dinner with the Dead. Where: At various locations in Salem… Which, if you didn’t know, is where the infamous witch trials occurred in the 1600s. And although the entire month of October offers up such “strange rituals”—among them, seances and graveyard conjures which, let’s be honest, sound awesome—the festivities closely surrounding All Hallows Eve are considered the main attractions. These include the official Salem Witches’ Halloween Ball, Mourning Tea, the Dumb Supper and the Salem Witches’ Magic Circle. The Halloween Ball is perhaps the biggest draw, taking place on October 28. Held in the historic Hawthorne Hotel, it offers way more than your typical Halloween party—besides the costume contests, live music and performances, you’ll be treated to psychic readings, drum circles and ancient ‘magical’ rituals, among other things. And that, folks, is what makes this one of the best Halloween festivals around. When: Halloween is celebrated throughout the month of October in New Orleans, but the celebrations truly pick up the two weeks before the actual holiday. Of course we had to include the American capital of voodoo and hauntings on our list of best Halloween festivals. After all, the famously devilish New Orleans always brings the ghosts to the party for this yearly blowout, which is second only to Mardi Gras in the city. And while ghost tours in the city are offered all year round, they’re particularly creepy during the Halloween season (naturally). You can catch one such tour in the French Quarter, or in Uptown and the Garden District. You can also visit the world-famous cemeteries, which feature eery above-ground tombs and boast hundreds of ghost-encounter stories. The annual Krewe of Boo parade has been welcoming the spirit world since 2007, and each year it grows in size. One thing is certain: Be prepared to catch flying swag thrown from the elaborately designed floats, or risk getting hit in the head. The parade typically begins at Elysian Fields and progresses through the French Quarter, passing through N. Peters and Decatur Streets, to Jackson Square, and then towards theWarehouse District, and all the way up to the Convention Center. And don’t miss the official after-party at Howlin Wolf. Naturally, it’s a costume party, so unless you want to look like a complete dud, wear something flashy. When: September 30 through October 31. Dark Harbor is open 7 p.m. to midnight on weekdays and 1 a.m. on Fridays and Saturdays. Located on, and near, an already infamously haunted ship, it’s no wonder that the Queen Mary’s Dark Harbor is considered one of the best Halloween festivals in the country, offering a combination of interactive haunted house and themed carnival. Plus, tickets start at $20 online, meaning you can almost surely afford to get in, at least. The inspiration for this frightening festival, the RMS Queen Mary, took her maiden voyage in 1936 and is the final resting place for souls from that era, or so it is said. Some sources say there are as many as 150 known spirits on the ship, and they have no intention of leaving. So the best thing you can do is show them a good time and hang out with them this October. You can even stay on the ship if you’re feeling very, very brave. But that’s not all—Dark Harbor also offers some of the spookiest haunted mazes around. They’re so detailed that you may actually find yourself questioning what’s real and what’s fake…making it one of the best Halloween festivals, period. I read this article and found it very interesting, thought it might be something for you. The article is called Get away for less: Vacations under $500 and is located at https://www.cheaptickets.com/blog/2008/12/get-away-for-less-vacations-under-500/. Take it easy in the Big Easy, when you take a cheap weekend getaway to one of the most charming cities on the Gulf Coast. Cheap flights and cheap hotels let you experience Southern hospitality for less than $500. During your stay in New Orleans you can sample fabulous food, cruise the Mississippi River or explore the French Quarter. Take a cheap weekend trip to Denver and hit the slopes for less. Some of the best Colorado ski resorts are less than 75 miles from Denver, making it easy to hit the slopes during the day and get back just in time to enjoy the bustling nightlife. With two-night vacation packages under $500, you will have plenty of cash left over for lift tickets, ski rentals, and the ever-important cup of hot chocolate! Experience history with a cheap vacation to Washington, D.C. From tours of the White House to free admission to the Smithsonian museums, you are guaranteed to have an exciting weekend in our nation’s capital. Even if you don’t win big at the table, you’re still a winner with vacation packages under $500 from CheapTickets! Whether you enjoy lounging at one of the many fabulous see-and-be-seen Las Vegas pools, or sipping Champagne at the high-rollers table, CheapTickets will get you there for less and leave you with plenty of money left to gamble. CheapTicketsknows how to make your money count. This winter add a little spice to your life with a cheap vacation. From the slots to the slopes, cheap travel has never been more fun or affordable. 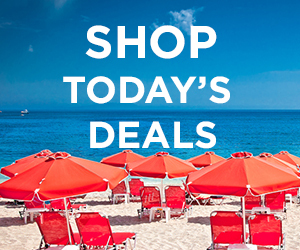 Oh, and don’t forget to tack on a promo code when you can! I read this article and found it very interesting, thought it might be something for you. 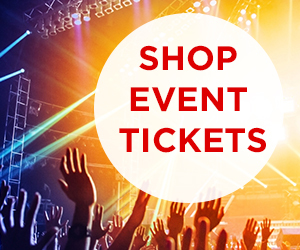 The article is called Free events make holiday travel cheaper and is located at https://www.cheaptickets.com/blog/2008/11/free-events-make-holiday-travel-cheaper/. ‘Tis the season for holiday travel. And while that may bring visions of flight delays and long security lines, don’t despair. 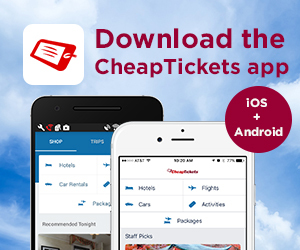 CheapTickets wants to spread some holiday cheer. We’ve compiled a list of free holiday events in a selection of cities across the country, and we’re sharing them here in a two-part series. Consider it our holiday gift to you. The Light of the Angels: This seven-minute multimedia light display runs nightly December 4-31 at 7, 8, 9 and 10 p.m. at NOKIA Plaza. A key feature of the program is a 37,500-pound tree with 11,000 lights. Marina del Ray Holiday Boat Parade: A fireworks show kicks off the event just before 6 p.m.; then boats decorated with lights circle through the harbor. December 13. DWP Light Festival: From Thanksgiving weekend to the end of December, this mile-long Crystal Springs Drive route in Griffith Park turns into L.A.’s most awesome display of holiday lighting. Open 5 -10 p.m.
Coronado Christmas Open House and Parade: Santa arrives by ferry, and a concert follows the parade. Balboa Park: Free organ concerts with holiday music. Sundays at 2 p.m. at the Spreckels Organ Pavilion. And don’t miss the "Whoville" decorations outside the Old Globe Theater in honor of the production "How the Grinch Stole Christmas." Horse-drawn carriage rides: In Escondido. December 1, 8, 15, and 22; 5-9 p.m.
Cathedral Christmas Concerts: Local choirs perform holiday music in the historic St. Louis Cathedral in Jackson Square. 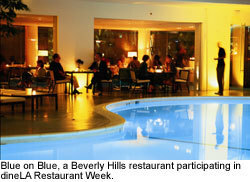 Select evenings at 6 p.m. from December 1-22. Cooking Demonstrations: Celebrated local chefs share their secrets for making delicious recipes. Select days at 10 a.m. or 3 p.m. December 2-20. Hollywood Beach Candy Cane Parade: December 6 at 7 p.m.
Seminole Hard Rock Winterfest Holiday Boat Parade: Thousands of illuminated boats float from downtonw Fort Lauderdale to Pompano Beach. (USA Today named it one of the top 20 parades in the world.) December 13 at 6:30 p.m. I read this article and found it very interesting, thought it might be something for you. 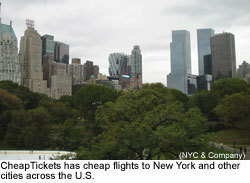 The article is called Cheap flights for September weekend getaways and is located at https://www.cheaptickets.com/blog/2008/08/cheap-flights-for-september-weekend-getaways/. Cheap tickets make travel easy. And CheapTickets is making it easy for you to plan a weekend getaway in September with cheap flights to cities across the U.S. These cheap tickets are for travel in September — leaving Thursday through Saturday and returning Sunday through Tuesday. September is right around the corner. So pick a weekend and find your cheap tickets.